After nine consecutive quarters of better-than-expected profit, Caterpillar Inc. still has some skeptics. The stock of the economic bellwether is headed for its worst monthly performance since 2015 as investors await third-quarter results on Tuesday. Investors are looking at industrial earnings with a “glass-half-empty” mindset, according to Karen Ubelhart of Bloomberg Intelligence. Caterpillar is expected to report Q3 earnings of $2.85 a share based on the average of 23 analysts’ estimates but the company has posted earnings that topped analysts’ estimates in every quarter since mid-2016. Among the things emptying that glass are worries that the full impact of U.S.-China trade frictions has yet to be felt at a time when many industrial customers may be reaching peaks in their growth cycles. 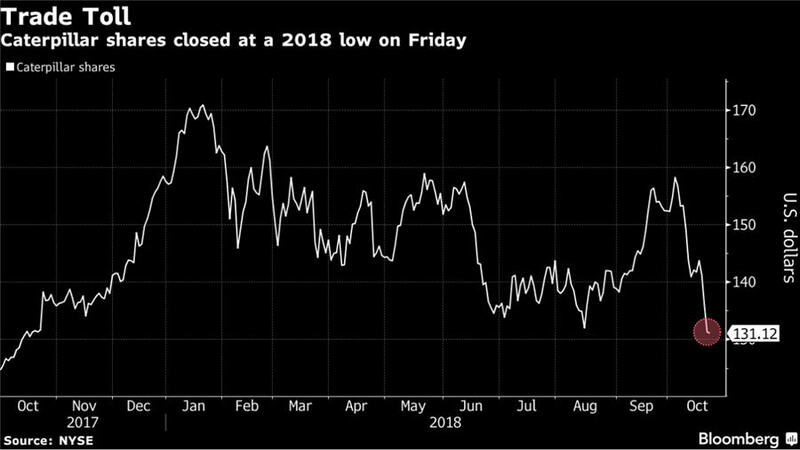 Caterpillar, the world’s biggest maker of mining and construction equipment, said as recently as last month that the trade spat hadn’t yet dented sales. Shares in the manufacturer fell to the lowest closing price this year on Friday after Honeywell International Inc. flagged potential costs in the “hundreds of millions of dollars” from higher Chinese and U.S. tariffs. Caterpillar’s earnings will come a day after Ford Motor Co. escalated its criticism of the Trump administration’s metals tariffs, which the automaker has said are taking a bite out of profit. Domestic hot-rolled coil — the benchmark price for American-made steel — has gained almost 30 percent in 2018 as the Trump administration implemented tariffs on imports. Caterpillar said in July that would boost prices to offset as much as $200 million in costs brought on by tariffs. Even with the recent share sell-off, Ubelhart expects global machinery demand to stay robust into 2019. 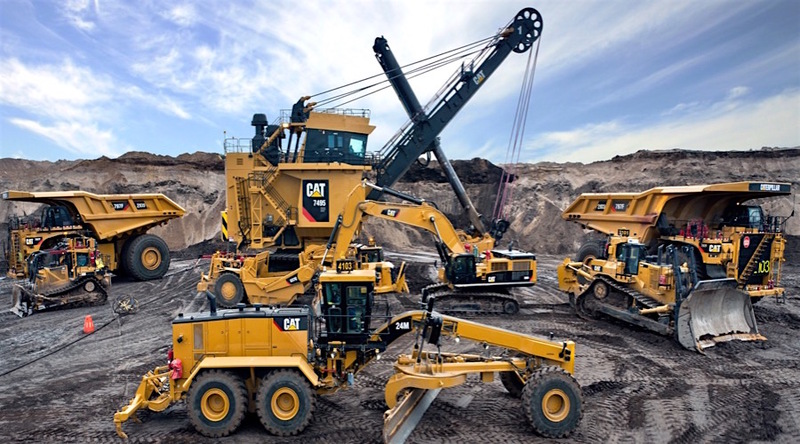 The U.S. construction market continues to expand, commodity price gains support mining equipment sales and heavy truck production should accelerate as orders remain robust, she said in a note.